Online CRM for individuals, small businesses and sales teams wanting a simple, effective and affordable solution. 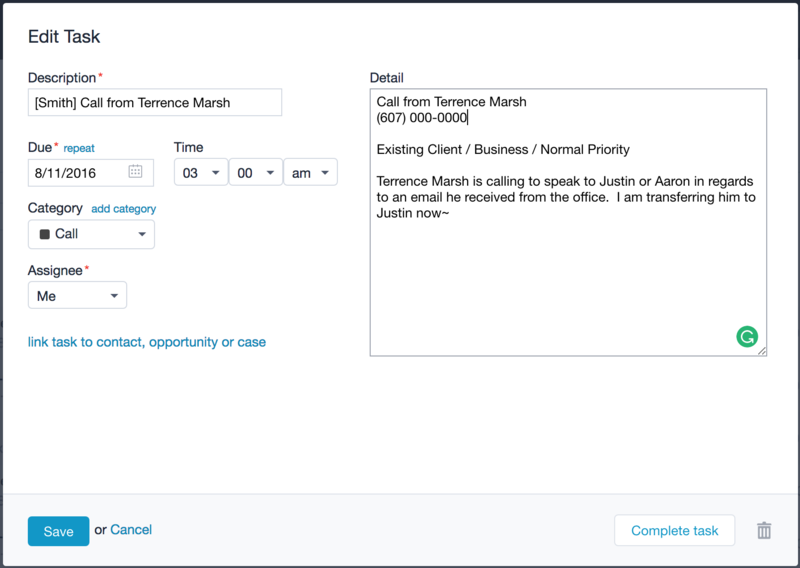 When a call comes in and a call summary is created, we will create a "Task" in your Capsule CRM account, under the "Call" category. The full call summary will appear in the "Detail" section of the Task. You can link that Task to a contact, opportunity or case.